Garda in Donegal exaggerated the number of breath tests by 61 per cent. An Inishowen road safety campaigner says it is “extremely concerning” that Gardaí falsified alcohol breath test figures in order to meet targets. It has emerged that Gardaí exaggerated the number of breath tests by almost 1.5 million between 2009 and April 2017, a scandal that led to the weekend retirement of Commissioner Noirin O’Sullivan. In Donegal, Gardaí exaggerated the number of breath tests by 61 per cent during the seven-year period. 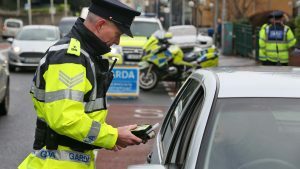 Gardaí in the county claimed to have carried out 128,666 breath tests when they actually only carried out 79,899 tests.